The Kensington Coffee Table by Daytona presents a modern take on glamorous art deco design. A soft, curved structure crafted from plywood makes up the base of the coffee table. 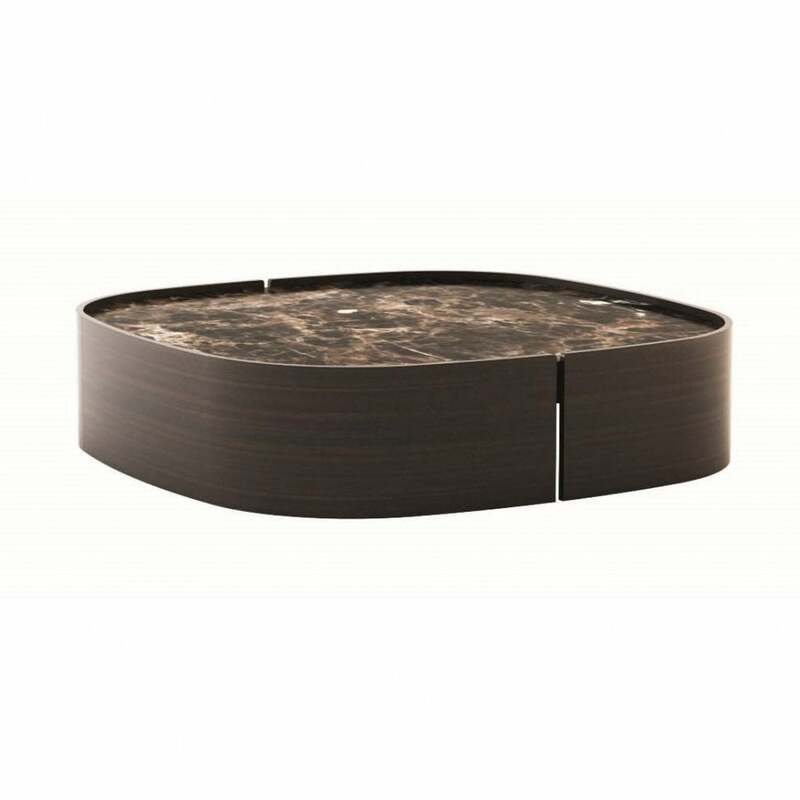 Finished in a dark walnut veneer and brushed gloss finish, only the finest materials are used to craft this modern coffee table. The top is available in two precious marbles; emperador and calacatta oro. It is also available in a range of high quality wood or leather. Beautiful with cream and ivory upholstery, pair with the Roma sofa and use to display your favourite artbooks and magazines. Make an enquiry for more information.